Leigh is a fully qualified therapist who specials in all aspects of nail and beauty treatments available in the industry at the moment. 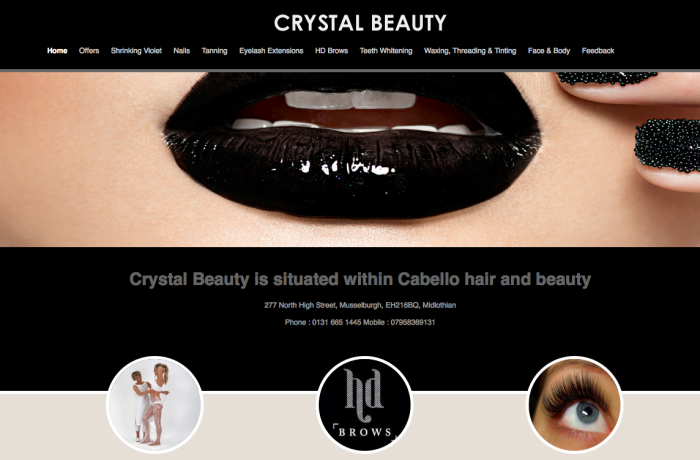 Crystal Beauty is situated within Cabello hair and beauty, 277 North High Street, Musselburgh, EH216BQ. This is just minutes from Edinburgh. There is free parking on the Main Street and has many bus routes outside the salon such as 26,44,30. HD brows, Shrinking Violet, Lash Perfect lashes, CND shellac & many more well known nail and beauty treatments available, please have a look and see what treatment you would like to book in for. We have gift vouchers available from £5 – £50 the perfect gift for christmas, birthdays or just a special occasion. Vouchers are valid up to 6 months of purchase. They can be redeemed on any beauty treatments except teeth whitening.